Kitchen/living/dining - 5.35M X 7.65M / 17'7" X 25'1"
Bedroom 1 - 3.40M X 3.77M / 11'2" X 12'4"
Bedroom 2 - 4.12M X 4.26M / 13'6" X 14'0"
Balcony - 1.66M X 5.69M / 5'5" X 18'8"
The 360 shared ownership scheme offers you the chance to buy a share of a modern and spacious apartment and pay rent on the remaining share. You can use your deposit and a mortgage to buy your share, anything from 35% to 75% of the price, and pay a subsidised rent each month on the remaining share. You can increase the amount you own up to 100% in the future using a process known as 'Staircasing'. Please note your £500 reservation fee goes towards the cost of your apartment, but you will have additional costs such as legal and conveyancing fees. 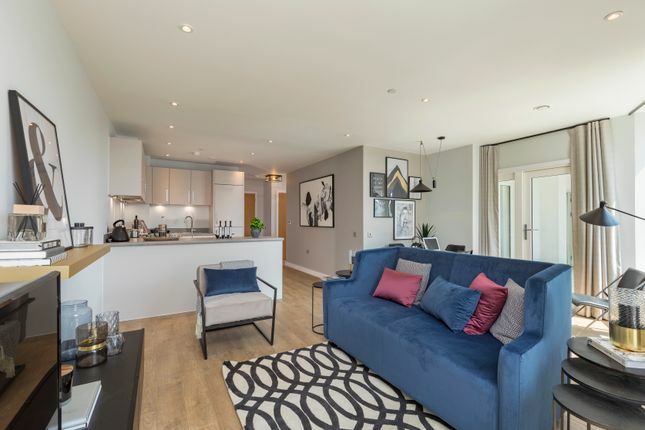 Property descriptions and related information displayed on this page, with the exclusion of Running Costs data, are marketing materials provided by NU Living - 360 Barking Shared Ownership, and do not constitute property particulars. Please contact NU Living - 360 Barking Shared Ownership for full details and further information. The Running Costs data displayed on this page are provided by SmartNewHomes to give an indication of potential running costs based on various data sources. SmartNewHomes does not warrant or accept any responsibility for the accuracy or completeness of the property descriptions, related information or Running Costs data provided here.